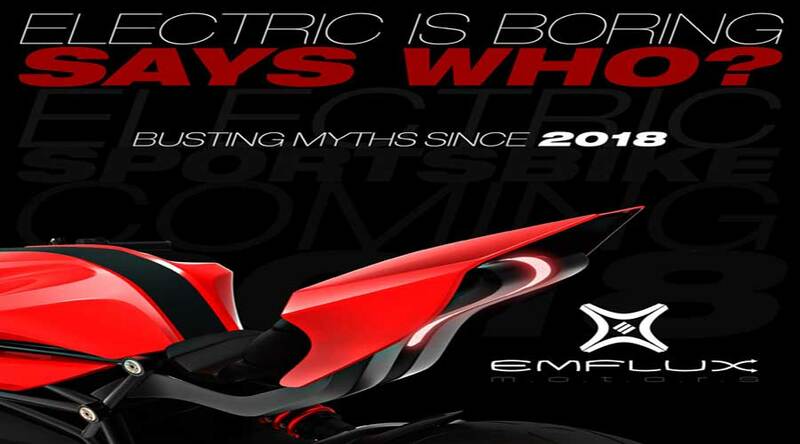 A new era of electric motorcycling begins in India with Emflux Motors. The electric revolution in the auto industry is nothing new these days. While Tesla already captured the attention by launching various electric sedans in the United States. There are few brands in US like Zero motorcycles entering into electric motorcycles. Here in India, a new startup called Emflux motors ventured into electric sport motorcycling since 2016. With more and more ventures entering the electric ecosystem, there is no doubt the worldwide boom in Electric Vehicles is entering India. When it comes to motorcycles, India is world's biggest market. In India, there is tremendous potential for motorcycles. Probably, by sensing the same potential in mind, Emflux motors is entering into this segment. There are few start ups like Ather energy and Tork motorcycles already gearing up for the electric revolution in India. The electric sports bike is a new concept and hence, Emflux needs to design electric sports motorcycle from scratch. Therefore, it is not easy to create something when you don’t have anything to look into. The motorcycle is expected to be launched at the Auto Expo 2018. Emflux is trying to build motorcycle which is technologically advanced, unique and high performance in nature. And most importantly, it will be emission free. As a result, it can reduce the pollution and carbon footprint. Furthermore, EV’s in India have a bad reputation as most of them are slow, costly and lag performance. This has hampered the image of EV’s in India. But Emflux is trying to reshape the image by giving unbeatable performance. This motorcycle can go from 0-100 km/h under in 3.5 seconds. It has a top speed of 170km/h. This motorcycle is built on lithium Ion battery. In addition, the company will be setting up charging points across the country. It has an ample range of 200kms in one go. You can quick-charge the bike from 0 to 80% in less than 36 minutes from a DC fast charging station. In conclusion, Emflux is creating some excitement for the riding community around India. And, we are very sure the next motorcycle revolution already began. Manta5 hydrofoil bike: now cycle on water with ease.